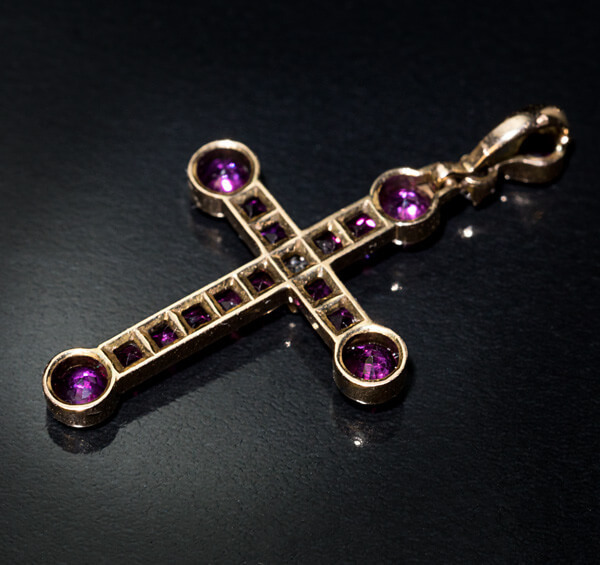 The arms of this delicate 14K gold antique cross pendant are channel set with square step cut and round natural rubies. The bail is embellished with a pear cut ruby. 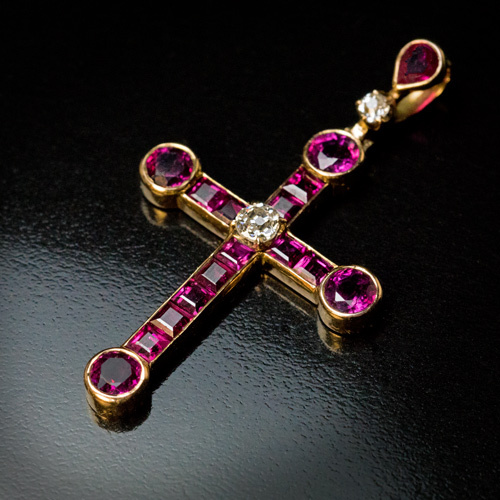 The rubies symbolize Christ’s Blood shed on the Cross. 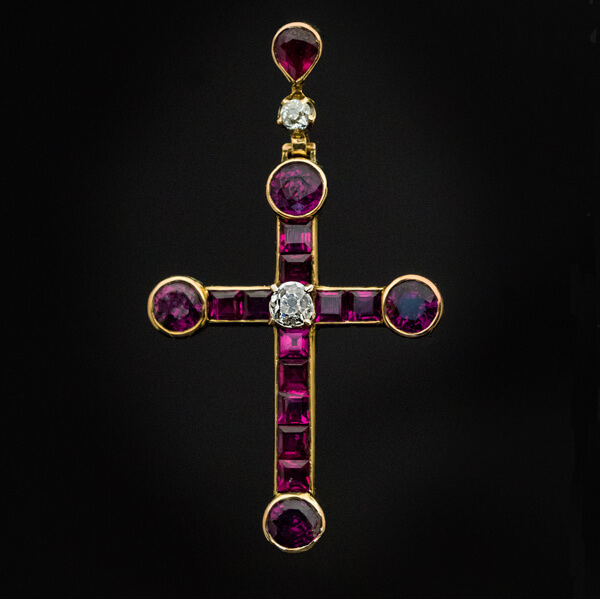 The rubies are accented by two old mine cut diamonds. Estimated total ruby weight is 2 carats. Approximate total diamond weight is 0.18 ct.